Australia’s Own Organic unsweetened coconut milk is made with organic coconut cream. The perfect option if you are looking for a dairy free or lactose free plant-based substitute. Use it when cooking your favourite recipes, or simply enjoy the refreshing taste all on its own. Available at Coles, Woolworths, and selected Independents. 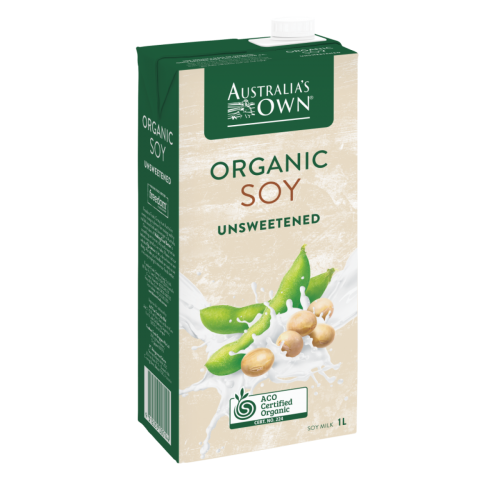 INGREDIENTS: Filtered Australian Water, Organic Coconut Cream (7.5%), Salt, Stabilisers (Locust Bean Gum, Sodium Alginate, Guar Gum).